Research indicates that 1 in 10 children in the United States are afflicted with a behavioral health disorder that is severe enough to cause some level of impairment (National Institute of Mental Health, 2007). Additionally, while research indicates that, in any given year, one in five children will experience some type of behavioral health problem, it is estimated that fewer than one out of those five children receive the necessary behavioral health services (U.S. Department of Health and Human Services, 2007). A behavioral health disorder exists when some psychological or psychiatric phenomenon results in appreciable impairment in some area of functioning and/or significant distress to the individual. 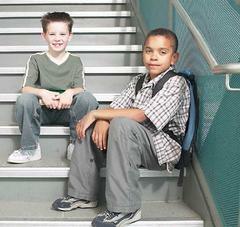 Behavioral health disorders in children and adolescents are varied, though the more common behavioral health disorders in children and adolescents typically involve impairment in one or more of the following areas: attention and concentration; behavior and conduct; development; bladder and bowel control; communication and peer relationships; intellectual functioning; academic achievement; eating; mood and anxiety; and substance use. The cause of behavioral health disorders tends to be a combination of biological factors (e.g., genetic predisposition, pathophysiological processes) and environmental factors (e.g., early learning environment, social contexts, peer influences). The impact of behavioral health disorders in children and adolescents can be substantial, ranging from disruptive family relations and school failure to, in some instances, violence toward others and suicide.